I hate the heat. It’s true, I do. I don’t even like it a little bit. Catch me in frigid January and I am happy as a clam. Since I have it on good authority that I was an Inuit in a former life, I am forced to carry around “Wet Floor” signs from June through September, for fear someone may slip on the pool of perspiration created by my forehead. And let’s face it folks, that’s an insurance claim that no one wants to answer to. Merely opening my front door can cause me to start sweating profusely, so you can imagine I’m a real sight to behold outdoors on a hot summer day. The thought of leaving my air-conditioned abode is often more stress than I can handle, so there needs to be something that can make me comfortable. A fragrance regimen during the hot summer months needs to be well crafted in order to ensure occasional moments of sanity, even just while walking to the car. And as my [bad] luck would have it, 2012 can now boast about having the hottest summer on record. Fortunately, I have made some amazing discoveries this year that have proven to be more than effective in combating the soaring temperatures of my least favorite season. On a recent business trip to New York City, I diverted my parking garage-bound taxi by informing the driver that there had been a change of plans. We were not going home, just yet. Instead, we were going to 117 Crosby Street in the heart of SoHo. Did I mention it was 98 degrees that day? We pulled up in front of the store and, not surprisingly, I broke a sweat in the 8 steps it took to get out of the taxi and enter MiN New York. Bad genetics, I don’t know what else to say on the matter. What makes MiN New York one of the coolest perfume destinations in America, besides their industrial-grade air-conditioning system (of which I am a fan), is evident the moment one walks through the door. 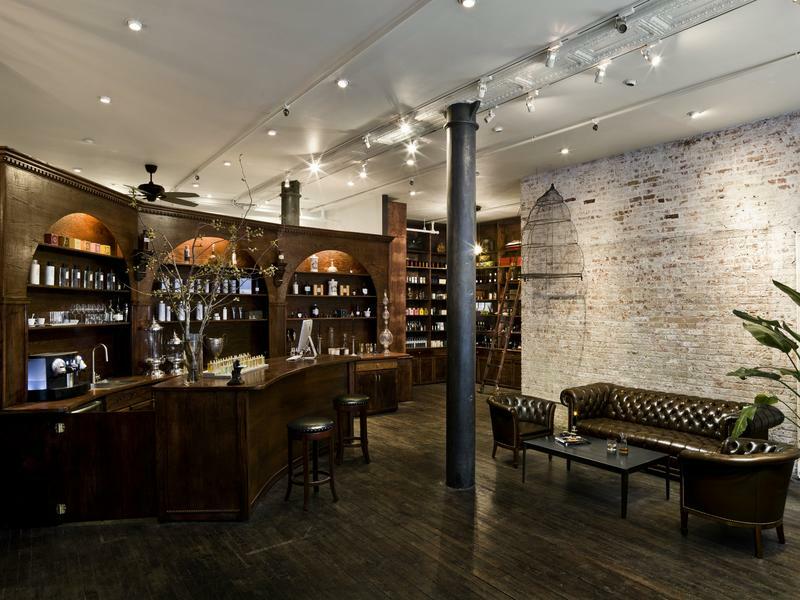 The space is an old-world apothecary thrown on a Contemporary axis, with curiosities to be discovered in every corner. Skin care, candles, shaving essentials - all are found at Min, but it is their world-class selection of fragrances that I have come to experience. The impressive fragrance collection at MiN has been finely curated by owner Chad Murawczyk and Vice-President Mindy Yang and consists of hard-to-find niche brands such as Carner Barcelona, Kerosene, Detaille, A Lab on Fire, Amouage, and Xerjoff. Several of these lines are so exclusive that they cannot be purchased anywhere else in the Western Hemisphere. Sospiro is one such brand of which I am particularly enamored. Sospiro is a niche luxury fragrance house, developed in coordination with Xerjoff, that draws inspiration from a creative marriage between Italy and the Middle East. 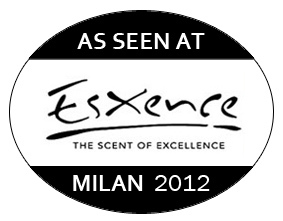 I was first introduced to the range at Esxence in Milan; it is a remarkably beautiful line, even from a distance. The striking flacons are covered in royal purple velvet with gleaming gold accents. I remember noticing them across the exhibition floor and remarking how radiant they looked all lined up in a row - gorgeous little things. To create the velvet-covered bottles, a unique machine had to be developed exclusively for Sospiro. The result is spectacular, both to the eye and to the touch. Of all the Sospiro fragrances, it is Accento that has me completely captivated. Accento is a truly distinct blend of invigorating citrus and florals with the intense fruity note of pineapple resting over a luxurious woody base. But here is what is absolutely extraordinary about this elegant scent – it’s nuclear lasting power. I first wore the fragrance to the FiFi Awards in May. Three months later, the collar of my suit jacket still carries traces of the fragrance and my dress shirt went through two wash cycles and still came out smelling of Accento. On a hot summer day out and about, one needs a fragrance they can count on to last from sun-up to sun-down. Accento is that fragrance. In fact, it lasts through several sun cycles – and THAT is a scent after my own heart. A little goes a long way – and it is worth EVERY penny. Before I concluded my visit, Mindy introduced me to one company that is part of MiN's exclusive distribution: Alvarez Gomez, a brand that I was unfamiliar with, but if you hail from Spain, you may hold their products near and dear to your heart as Alvarez Gomez is Madrid’s oldest and most prestigious perfumery. 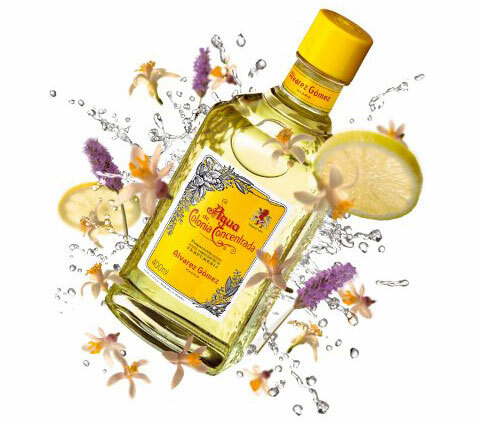 2012 marks the 100th anniversary of their signature fragrance, Agua di Colonia Concentrada, a traditional cologne enhanced with carefully chosen essences of Mediterranean plants, flowers and fruits including Spanish lavender, lemon, geranium, eucalyptus, and essential oils of rosemary, thyme, English lavender, and bergamot. I love the carefree and refreshing scent of the cologne, and with prices starting at just $30 for a 100ml splash bottle (to $100 for 750mls) this is an exclusive luxury that is incredibly affordable. Mindy handed me an individually wrapped Alvarez Gomez Refreshing Towlette and I wiped off the grime of a day spent in the city before bidding the folks at MiN New York a fond farewell. It was now rush hour as I exited into the blazing heat and tried to hail a taxi with little success. 30 minutes passed and as I saw a taxi in the distance, I raised my arm to hail it when from out of nowhere, a blast of cool citrus and herbs met my nose. It was the Gomez towlette in action and I stood there on the street, mesmerized. What the hell was in this little wipe, anyway? My skin was instantly softened, and the citrus fragrance that by all rights should have vanished 15 minutes ago was still going strong. And I wasn’t sweating! Small, but mighty and only $1 a piece (10 for $10) – could these be the best-kept perfume secret in the world? Yes. One of my favorite discoveries of 2012 so far came once again at Esxence in Milan. On the last day of the event, I was making my final rounds when I came upon the booth for Torre of Tuscany. The line consists of 9 fragrances, all incredibly packaged in bottles capped with solid marble - beautiful and so very Italian! Included in the range were 2 scents that I found particularly exciting and have been getting a lot of mileage from this summer. From Enzo Torre, creator of niche line Profumi del Forte, this new company, Torre of Tuscany, was launched in the Fall of 2011 and has grown to include a collection of generous Eaux Fraiches, as well as home fragrances in equally impressive containers. I was immediately taken by one of the 3 new fragrances being launched at Esxence, Dolce Narciso. Narcissus is one of the most enchanting and mysterious floral notes in perfumery, but more often than not, it plays a supporting role in a fragrance instead of getting over-the-title billing. In the case of Dolce Narciso, my favorite floral note takes center stage. After the initial thrill of having discovered a new narcissus fragrance, a great rarity, I was instantly captivated by the gourmand take on the classic floral note. Dolce Narciso is a stunningly beautiful fragrance, and like its namesake – it knows it. Finally, there is Corpi Caldi, a seductive, yet intimate re-invention of the fruity-floral genre. It has both in abundance; the top is a veritable fruit salad while the heart is an entire flower cart. Cherry, blackberry, prune, peach, strawberry, orange, tangerine, jasmine, heliotrope, iris, ylang-ylang, orchid - I could go on. Corpi Caldi is a masterfully complex blend of excess and abandon, and proves that occasionally, more is more. The base is rich and exotic – resins, woods, balsams, and a generous dose of musk. 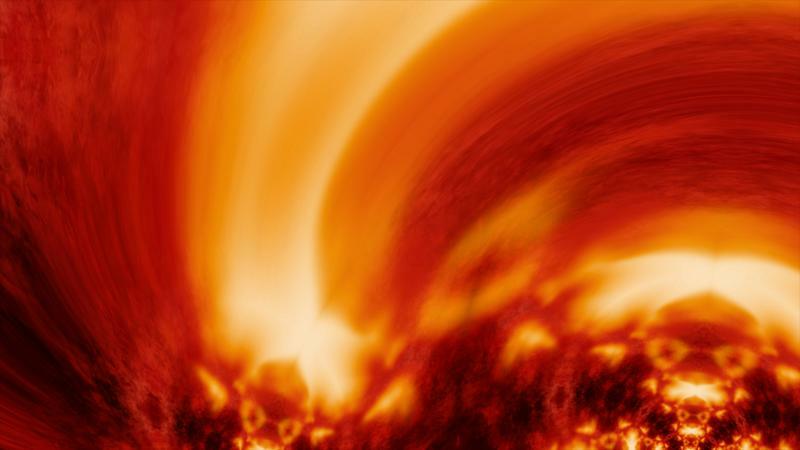 Corpi Caldi is unparalleled in its persistent, unique beauty. Torre of Tuscany is a sparkling new jewel in the crown of niche perfumery. Unfortunately, it has yet to secure American Distribution, but here’s hoping that changes fast! Summer is winding down, and while I am certainly not sad to see it go, I will miss the ability of the heat to seemingly enhance any fragrance one puts on their skin. Is there anything better than the siren-call of a fragrance masterpiece on a hot and humid summer night? If your answer is yes, well, then you should try to order a bottle of Corpi Caldi, stat!